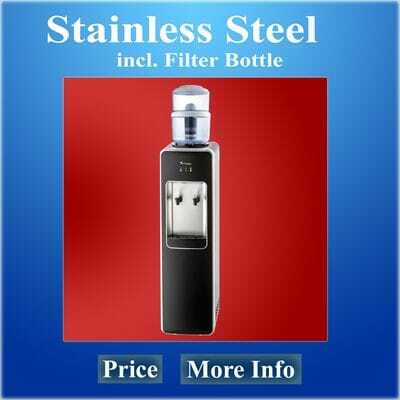 Beautiful Benchtop Water Coolers Sydney from Prestige Water including the filtration bottle. When did the cost of living become so expensive, when going to the park with your family costs an arm and a leg just to keep the children hydrated. Are you drinking enough? And the water from the fountains are never clean and taste like chlorine. How much water should I drink each day? 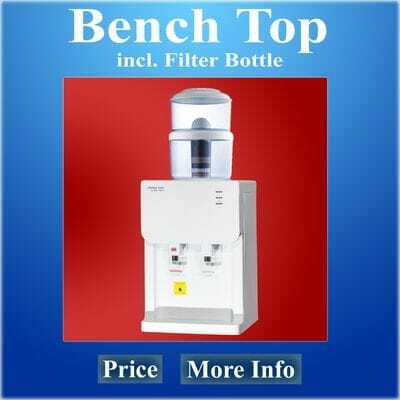 Benchtop water coolers Sydney has the answer to your problem! Our water coolers not only introduce to a 7-stage filtration system, they are designed specifically to clean the toxins out of your tap water. 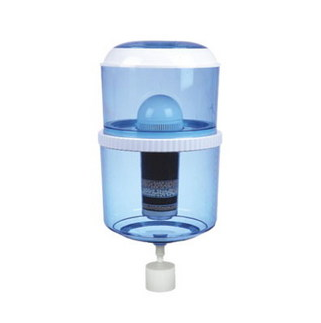 The filter cartridge also add essential minerals to improve your health. 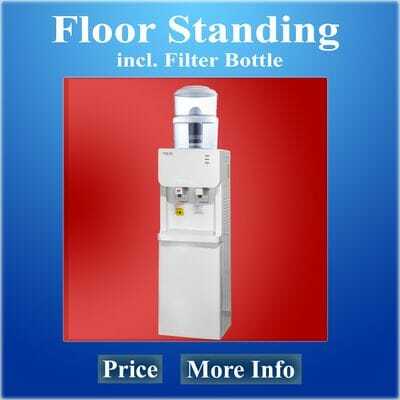 The Benchtop water coolers Sydney are easy to install, only a power point is needed, no plumbing required and is cost effective. Never buy bottled water again. The water taste like it comes out of a cool spring on a hot summer day. Staying hydrated is essential, especially during the Australian summers. Drinking water straight from your tap doesn't taste that nice, so you will prob ally don't drink enough. By removing all these bad chemicals from your tap water, the taste will improve, and you will notice that you and your family or staff will drink more water during the day. You can stay hydrated by drinking 2 - 3 liters of water each day. By having a water cooler at your home or office you will immediately start drinking more water and your general health will improve. Also drinking water will help with losing weight. Why drinking water will help with Greater Health.